Tough, waterproof precision alloy construction compacts that are built to take the world''''s'' harshest elements. The Wildlife series binoculars are wrapped in a smooth, silent and non-reflective, earth-tone rubber armoring that makes them almost invisible to game animals and birds. Although you will first notice the durable yet comfortable feel of these binoculars, it''''s'' really the optics that are the most impressive. Bright, powerful optics are designed to gather as much light as possible. 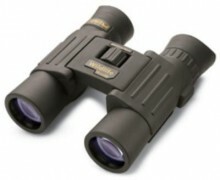 The Wildlife Series glasses are among the brightest compact-class binoculars available anywhere. They feature phase-corrected roof prisms for utmost clarity and brilliance, and full Steiner multi coatings on all lens surfaces helps bring you natural colors and brightness while reducing stray light and reflection. At only 11 ounces the 10.5 x 28 Wildlife compact is the virtually the same weight as our new 8.5 x 26. When you need added power for long distance viewing but can'''t be weighed down, the 10.5 x 28 is an excellent choice. Fully multi-coated optics and phase corrected roof prisms provide excellent color reproduction with brilliant clarity. Fast and precise center focusing make adjusting quick and easy. The 10.5 x 28 are waterproof and shockproof. Click the button below to add the Steiner 10.5x28 Wildlife Pro Binoculars to your wish list.